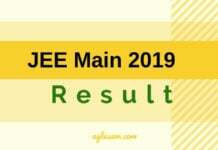 All important dates of JEE Main 2018 are now available. 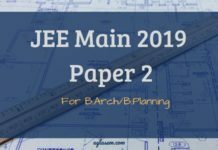 JEE Main 2018 important dates indicate the date of exam, start and end dates to apply to start with. In addition, it also contains date from which admit card can be downloaded, form correction, availability of answer key. It also shows the date of result declaration of JEE Main 2018. Candidates appearing for 6th CBSE JEE Main 2018 can get here all important dates and mark them on their calendar. Make sure to adhere to deadlines. Like right now you should note commencement of JEE Main 2018 Application Form date submission and its last date. 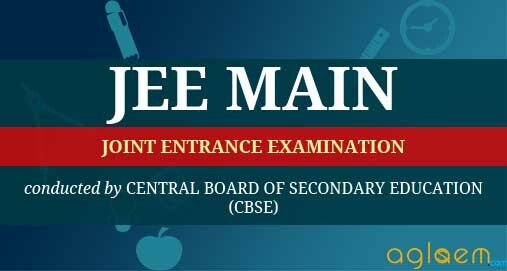 It is also important to note that final decision regarding any date related to JEE Main 2018 is upon Central Board of Secondary Education. 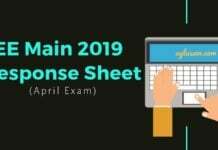 JEE Main 2018 exam dates are 08 Apr 2018, 15 Apr 2018, 16 Apr 2018. On 08 Apr 2018, the exam will be held in offline mode. Whereas on 15, 16 Apr 2018, the exam will be held in online mode in two shifts each day. Candidates of Bahrain, Dubai, Muscat, Riyadh, Qatar and Sharjah may note that in these cities, computer-based exam for Paper 1 will only be on 15 Apr 2018. Paper 2 in all these cities will be on 08 Apr 2018 from 1 to 5 pm IST. Reach the exam centre as early as on exam date as the test starts exactly on the time mentioned on admit card and entry are not allowed after the commencement of examination. Do not forget to carry your Admit card. Do carry a copy of admit card in case you lose one by mistake at the exam centre. Carry a cardboard or clipboard to the exam centre. A ball pen will be provided to you at the exam centre. Any case unfair means will be dealt as per rules of the conduct.